The Taste of Apple Seeds is the 23rd translation of my novel and probably the one closest to my heart, mainly, of course, because it is the only one I can really read. And by ‘really read’ I don’t mean ‘read tolerably well’ like the French translation, which I know is excellent but would never be able to judge so myself. Neither do I mean ‘read and put together from languages you know or used to know and words you picked up during your summer holidays’, which is how I read the Spanish, Italian and Dutch editions. Then there are these translations from places like Finland or Croatia. I leaf through them and may be able to tell by a word derived from Greek or Latin whereabouts in the book I am – but that’s all. And finally there are the translations like the Korean, Hebrew and Chinese of which I cannot even tell if my name is on the cover. But, as is often the case with matters of ignorance and belief, those are the ones that give you the purest joy. You will never know if the translation is any good, you will never see a review. You feel like a child when you realise by the location of the page numbers that you must be holding the book upside down as it starts at the other end. Every time the postman brings a box with copies of a new translation it is a surprise party. The only language you are always able to read – but not always understand – is the language of the cover image. For the cover, too, is being translated into the imagery of the foreign land: the Romanian cover looks like the pattern on a rural table cloth. The Chinese seems at once urban and naive. The Hungarian cover is very sombre, the Greek is very pink, the Korean is exotic, the Estonian, well, see for yourself. I am very moved when my book is read by people whose language I don’t know or who don’t know mine, who may never have entered a German kitchen garden and probably never will, but who might still understand more of my concerns than my neighbour next door. People everywhere seem to know about the stories old houses can tell, won’t tell or might tell each person in a different way. About losses and loves. About trying to forget or to remember. About the futility of both. About the wonderous fact that surprisingly large numbers of teenagers actually do survive their adolescence. About the manifold pleasures of swimming in a lake or about the complex sensations of reading and eating simultaneously. It is such a great honour when your book gets the chance to become part of a culture other than your own. It is as exhilarating as it is humbling. I didn’t expect all this to happen when the book came out. Honestly, I was even surprised that people south of the German river Main were able to see something in it. For me it is such a North German book. When it started to become successful I thought: ‘Well, yes, of course, I have a very large family, they take their obligations seriously. After all, we also bought that CD of my cousin’s school choir 27 Christmases ago.’ It took me a while to take in that not all my readers were blood relations or acquaintances of my parents. Having said this, I must confess that I immediately informed my aunt in America about the English edition. And, needless to say, I sternly reminded her of that CD from 27 years ago. English editions of German books are comparatively rare. Of the 135 German books my publisher brings out every year perhaps four make it to the UK. That is a lot. Others sell less. An English edition is always a jackpot, I am well aware of this. I am also aware of being lucky to have a courageous British publisher who issues more literature in translation than many. 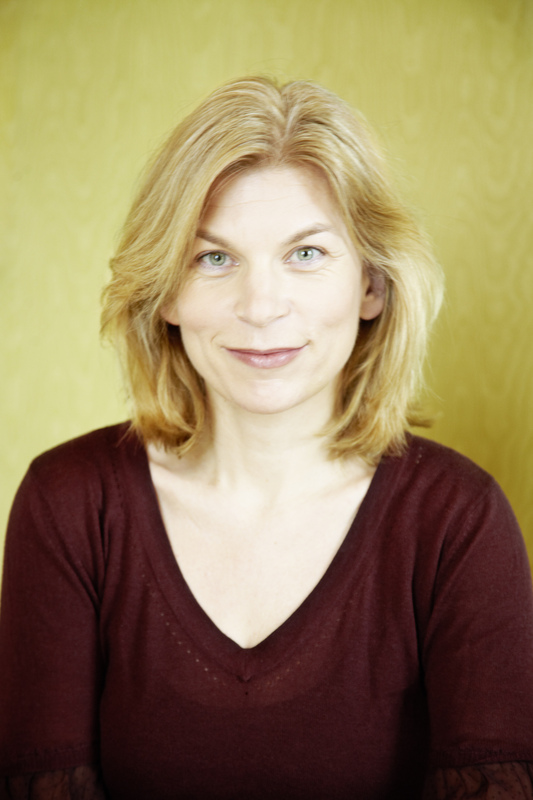 It must be strange for British readers to know that most of Europe is familiar – or at least has the opportunity to be so – with large parts of British contemporary fiction, but not the other way round. Often, only the bestsellers make it into the English-speaking markets. But who reads bestsellers all the time? I don’t. And I don’t write bestsellers all the time, either. It is special – not only because at one point in my life I had decided to dedicate my professional life to the reading and understanding of English texts. Not just because I studied English, lived in London, adore Monty Python and English crisps (salt and vinegar), did a PhD in Anglo-Irish Lit, lived in Dublin, worked as a translator from English into German myself (I wasn’t any good), taught English literature in Germany, have Irish, British and North American friends and colleagues whom I can finally show what I do for a living. Yes, for all those reasons too, but also because English is the language in which I read. German novels seem to get in the way of my own language. I can no longer dive into them as carefreely as I did before I became a writer. The English language doesn’t interfere with mine and I’d like to believe I know it well enough to be able to recognise truth and beauty in a text if the two happen to be in it. After all, that is more or less ‘all ye know on earth and all ye need to know’anyway. So, if I may, I would like to dedicate this piece to Jamie Bulloch, my English translator. Everybody knows that a few things are bound to get lost in translation, but in a good one, like his, so much more is gained. I want to thank him with all my heart. Thanks to Katharina for this wonderful piece and congratulations both to her and to Jamie. 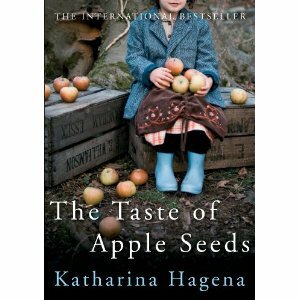 The Taste of Apple Seeds treads a fine line very gracefully: it isn’t a heavy read, but it has substance; it is sweet and quirky without being schmaltzy or cloying, and these are hard things for a writer to achieve. With an endearing and slightly eccentric protagonist, family secrets and a mysterious old house, the author blends familiar story ingredients but with distinctive results. Iris is a terrific character – I can still picture her cycling to the petrol station in a gold ballgown! I chose this book for its gentle humour, moving insights on memory and for the lovely, sensory writing with flashes of magic realism. Next week – the first in-depth review of one of my Hot Picks – The Starboard Sea by Amber Dermont, published 17 January.